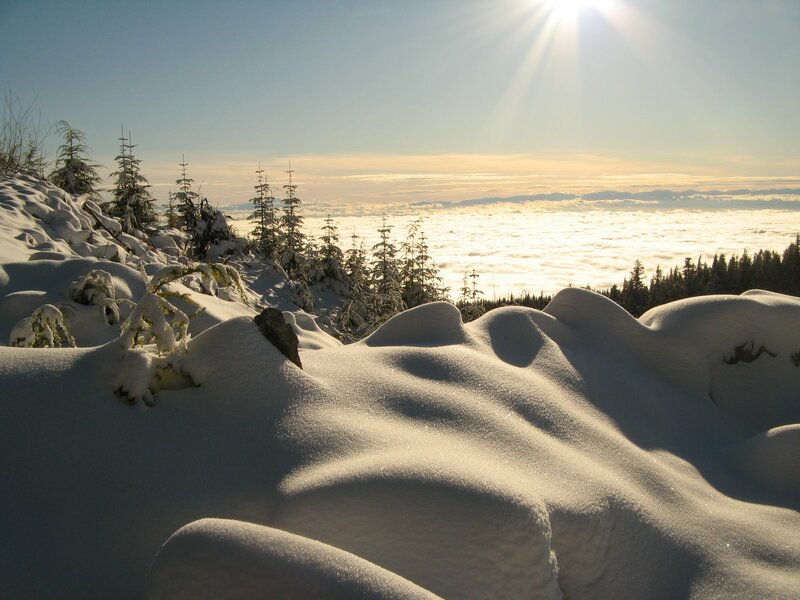 "When the sky clears in Powell River, you can see the snowpack all around, but you can't get to it. Mount Mahony is the exception. The dirt road, only a few miles outside town, climbs steeply..." Wayne featured "Mount Mahony" in the first chapter of Up the Lake. 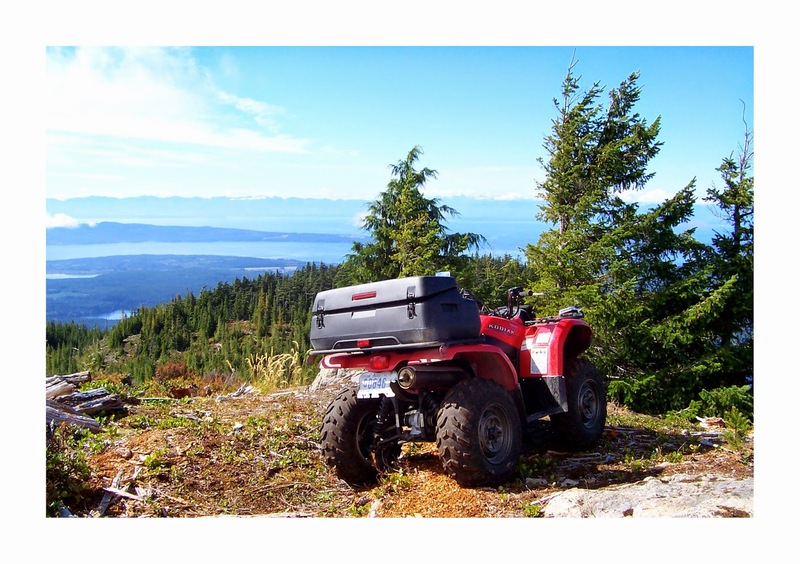 Since then, we've been on quad rides to this easily accessible area in all seasons. But in winter, it's especially enjoyable after a light snow. On one trip, our friend John and his dog Bro took the lead. We are always more confident that way. It was overcast in Powell River. As we climbed higher and higher, we finally broke through the freezing mist to the sunshine that the weatherman promised. The snow on the trail got deeper, and the overarching alders did their best to dump their loads on our heads as we passed underneath. John takes the worst of it in the lead, but Bro in his aft quad box gets quite a heavy dose. Each time we thought we could go no further, John pushed through and made a trail for us to follow. We made it all the way to the bluffs and their panoramic lookout, but low lying clouds hid Inland and Powell Lakes from view. Texada and Vancouver Islands poked their heads through, but the rest of the coast remained shrouded in gloom. Sandwiches and pop taste as good as lobster and champagne when you're in such a beautiful place. On the way down we hiked a few hundred metres up a side trail to a tranquil lake in the process of freezing. Sometimes it is hard to believe that Powell River has such wonderful places to explore so close to town. 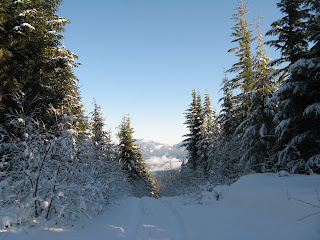 Even though we saw several cars and trucks down below, we had the trails and snows of Mount Mahony all to ourselves. 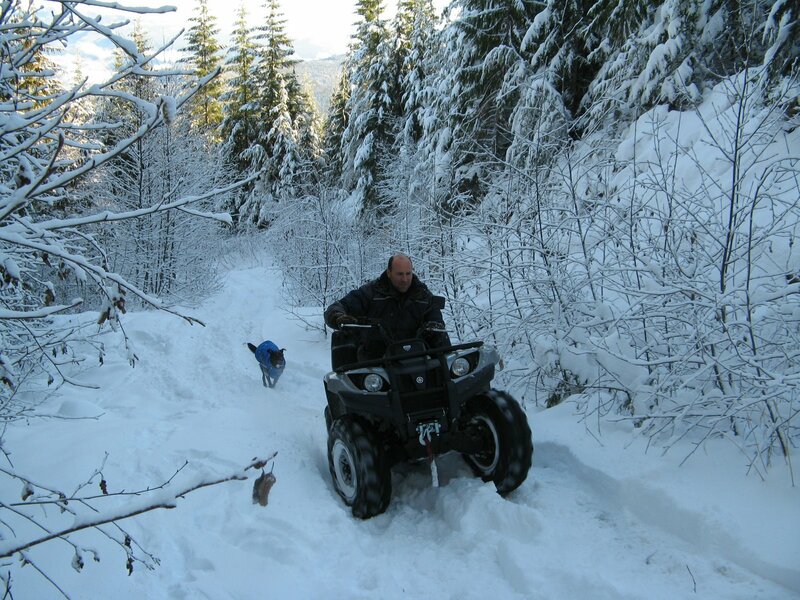 Want to read more about Powell River winter adventures? Try Up the Winter Trail. 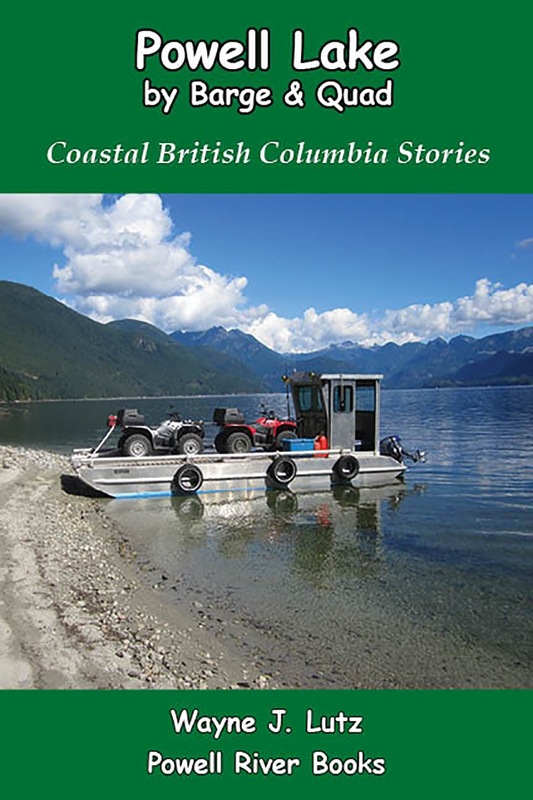 It's available in print and Kindle formats at Amazon, and other online vendors such as Kobo and Smashwords. Beautiful, snowy captures -- cold, but beautiful!! Thanks for sharing the beauty!! Gorgeous snowy scenes. Looks so cold though! Happy skywatching, enjoy your weekend! Gorgeous wintery shots! I like the third shot with the partial sun flare. So beautiful! This is an adventure I'd like to do. I've yet to try ATV driving. 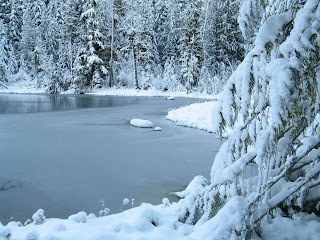 Breathtaking snow scenes! Well worth the effort for the views too! Breathtaking winter wonderland! The sun on the Bluffs is fabulous.